Ninjas are sneaky. It's sort of what they're known for. 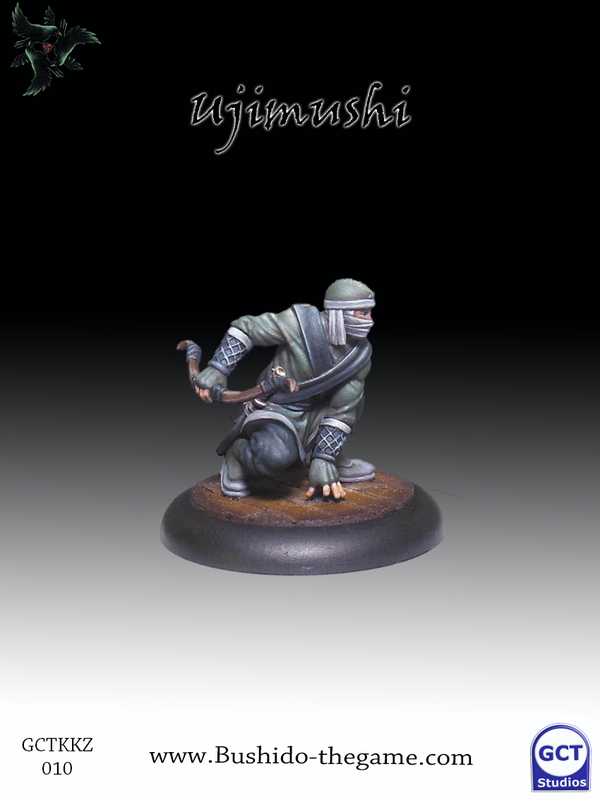 While everyone was busy looking at the Jung Pirates (along with their crab-centaur-guy) at Gen Con, a new ninja was waiting off to the side, ready to ambush us with a new preview of GCT Studios' Wave 31 for Bushido. 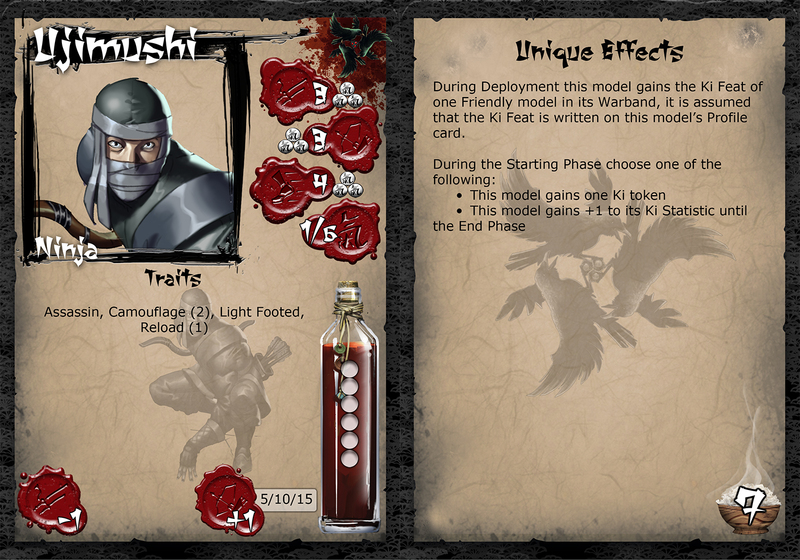 Well, we've got a lock on him now and it's time to take a look at Ujimushi. Being a ninja means being adaptable. You're quick, you're silent, but you also need to be able to roll with whatever might happen in battle. The Shadow Wind Clan does this by being able to pick a new ability for their characters at the start of every round. Ujimushi is even a bit better at it, seeing as he can borrow another character's Ki Feat as well. At the start of the game, you simply pick another Ki Feat that a different character has and now Ujimushi has it as well for the rest of the game. Very handy.